So many of us remember our first love; but what do you do if the first time you really fall in love is when you�re in your mid-twenties, married and it�s with another man? Ian, the central character of this story, faces such a dilemma. Is it possible to be gay and an Evangelical Christian? And if so what is the price to be paid? (This short story contains adult themes and is run over three pages). The Ex-Gay Movement are Evangelical Christians who believe they can change gay people�s sexuality by questionable means. The problem is they leave a trail of damaged souls in their wake. These six linked short stories follow Chris, a gay man who was involved with one of these ex-gay groups as a teenager, as he tries to come to turns with what was done to him in the name of Christianity. At this time, on this date a bomb exploded in the Admiral Duncan pub, in Soho, London. The bomb was targeted directly at London�s Gay Community, killing three people and injuring over seventy others. This story is set over that terrible weekend and how it affected the lives of two gay men. Fairies have had a long and important role in mythology and fantasy, but of late they have been turned into the Disney image of Tinkerbell, the light and soft spirit; traditionally fairies have been a much darker and mischievous creature. This story returns to that tradition, but this story is located in modern day East London. Saying goodbye to someone at an airport has become such a stable of fiction as to almost be a clich�. Here is my take on that, the central character here first says goodbye to one person at an airport and then, later, meets another; the two people having such an impact on him. Tommy thought he was the new man in Sean�s life, but when he found out his was just a fling while Sean�s real boyfriend was away, so he decided to take revenge. Joe finds his work colleague, Francine, praying in the stationary cupboard and what she has to say is disturbing. Sometimes it feels as if organised religion doesn�t care who they hurt in their pursuit of power and to make us all obey them. In this story a woman is torn apart by guilt, pressed onto her by her own believes. All as she mourns at a funeral. The title of this story is also when it is set. As a family sits down together to watch, on television, to watch the film One Million Years B.C., the son (the narrator here) under goes a revelation. Not all of it is supplied by the film. If you can find a Dandelion Clock flower and you can blow away all the seeds in one breath then maybe your wish will come true. 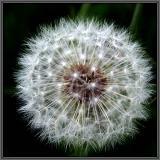 Alice, in this story, during a family panic, finds a Dandelion Clock, but what will she wish for? Suzi had a certain reputation, around the office, of sleeping with a different man whenever she could and then telling her colleagues all about it. This did little to impress Valerie, her supervisor, especially when Valerie found out her real motives. While his stepmother is away for the weekend, Tom finds himself having to �baby sit� his elderly father. But the old man has been changed by illness and Tom doesn�t like what he finds. ��Graeme Meades resented the man even before he met him.� He finds another reason to hate the man who got the job he applied for, and finds it cuts far too close to home. A funeral is the end of a life and the start of grieving, for many of us. But what do you do when your emotions don�t fit into the expected grieving pattern. The narrator of this story finds himself feeling the �wrong� emotions at his father�s funeral. Love has its own language, messy and complicated and not always saying what we mean it to. No more so then St Valentines Day, when love can truly lead us astray. This story is about a Valentine Card, the man who receives it but never wanted it and the breathlessly hoping woman who sent it. ��He wrote me thirteen poems and I burnt everyone of them when he dumped me.� A woman takes a moment to look back on her first, teenage boyfriend. 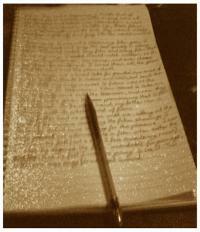 The main part of my fiction writing is short stories. They always seem popular with other people and they are the writing that I have had published most often. I also find they provide me with an interesting canvas to explore the different themes and subjects that so fascinate me when I'm writing. Here is a selection of the different stories I have written, in different ways they are all stories that are important to me and I am happy with.